Your smile can say so much about your personality before you even speak. Many people notice your teeth first because your smile can be an indicator of your authenticity, kindness, and even competence, according to a Penn State University study. In fact, at a recent TED Talks conference, Ron Gutman presented UC Berkeley statistics that tied students’ smiles in yearbooks to their levels of relative success. Our Lake Worth orthodontist, Dr. Ciro Cabal, will explain how orthodontics can improve your image and your confidence so that you can benefit from a big, genuine smile. Cosmetic orthodontic treatments are different from other orthodontics. These therapies focus mainly on the front teeth which show when you smile. Cosmetic orthodontics addresses crooked, overcrowded, or unevenly spaced anterior teeth. 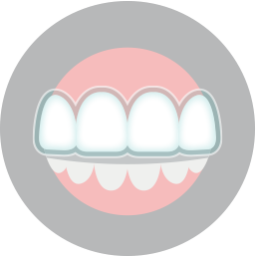 In contrast, other orthodontic treatments may focus on malocclusion, or misaligned bite, TMJ disorder issues, and other dental health problems. Because cosmetic orthodontics prioritizes small changes to the visible portion of your smile, many treatments can be completed in a shorter amount of time than other orthodontic treatments. Unlike other therapies, cosmetic treatments do not address extensive dental issues that take more time to correct. Invisalign clear braces for teens and adults are a great option for quickly correcting cosmetic smile issues. These removable clear plastic aligners gradually move your teeth into the ideal position for a straight smile. 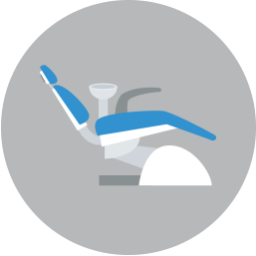 These options for orthodontic treatment offer the most convenience when straightening a crooked smile. 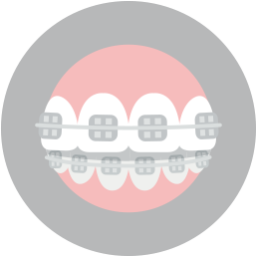 Tooth-colored braces also offer discrete orthodontia with ceramic brackets and wires. Since the braces are color matched to your smile, they are much less conspicuous that traditional braces, yet offer the same benefits of a straighter smile. By applying gentle forces overtime, these tooth-colored brackets will direct your teeth into perfect alignment. With cosmetic orthodontics, we can help you improve your smile and your confidence discretely. For more information about your cosmetic orthodontic treatment, contact Lake Country Orthodontics for a consultation with Dr. Ciro Cabal. Call our Lake Worth orthodontists office at 817-236-7846 to schedule an appointment.